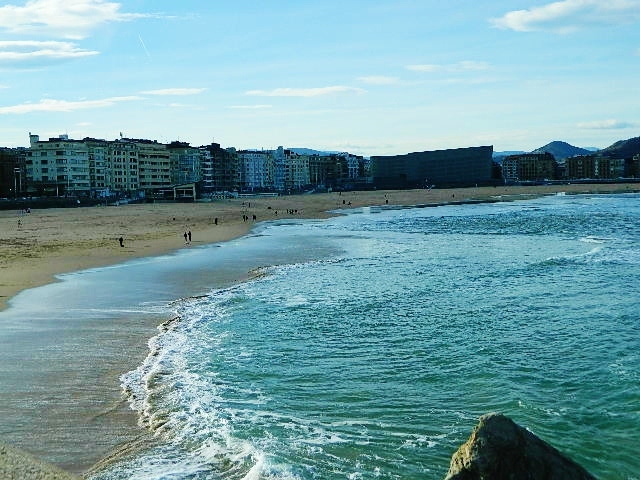 Situated on the northern coast of Spain on the Bay of Biscay, San Sebastian is one of the top tourist destinations in Spain, and I can see why. San Sebastian sits all around the edge of the Bay of Biscay on wooded cliffs above a beautiful horseshoe shaped sandy beach. 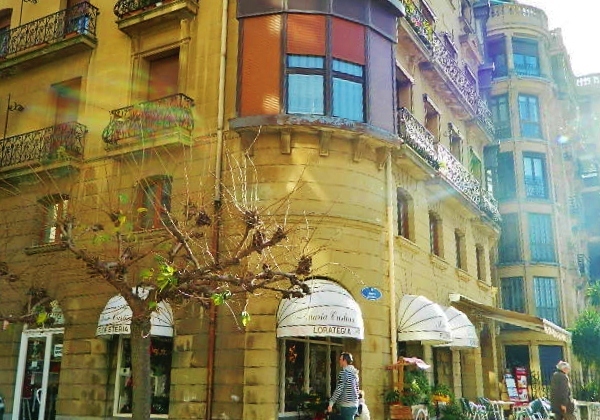 The streets are lined with shops and restaurants and the town has a relaxed, artsy kind of feel. What we hadn't expected was that when we entered San Sebastian, all the signage was printed in a language that none of us recognized. I assumed there might be French spoken there, with the city's close proximity to France's southern border, but this was a language I had never seen before. We learned that the Basque Country has it's own language, called Euskara, and about a third of the inhabitants of the Basque region speak Euskara, rather than Spanish.